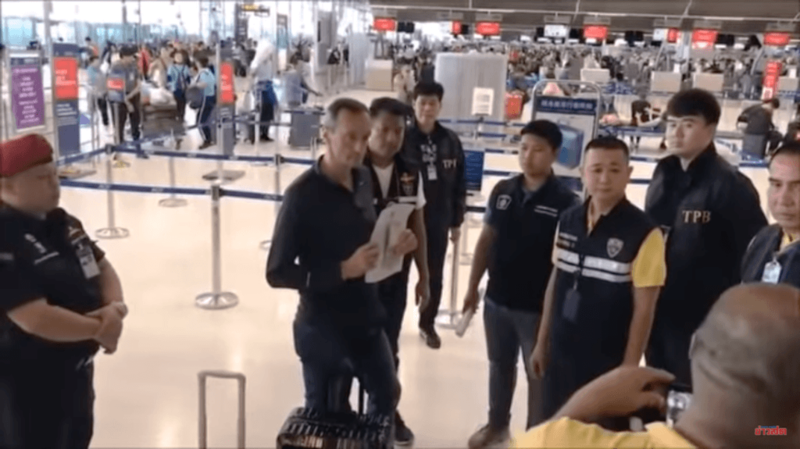 BANGKOK – Thailand’s Immigration police at Bangkok’s Suvarnabhumi Airport have arrested a Belgian man who was accused of stealing Chinese tourist’s suitcase on January 2. The suspect, Patrick Fernand Coulier, 53, was detained on Wednesday at a VietJet Air counter. Police allege Coulier stole the luggage of Cai Zhe who traveled from Hangzhou, China. Cai alerted police that his luggage, containing items worth about Bt100,000, went missing on his arrival at Suvarnabhumi Airport. Security camera footage showed an elderly man wearing a yellow T-shirt and jeans picking Cai’s luggage from the luggage carousel and leaving the airport in a taxi. Investigation identified the suspect as Coulier, a Belgian, and Samut Prakan Court issued an arrest warrant for him. When airport police arrested him after he checked in at a VietJet Air counter, he had the stolen luggage in his possession. Police said he admitted he stole the luggage and said he had stolen luggage several times. He said he usually stole regular luggage not expensive baggage. 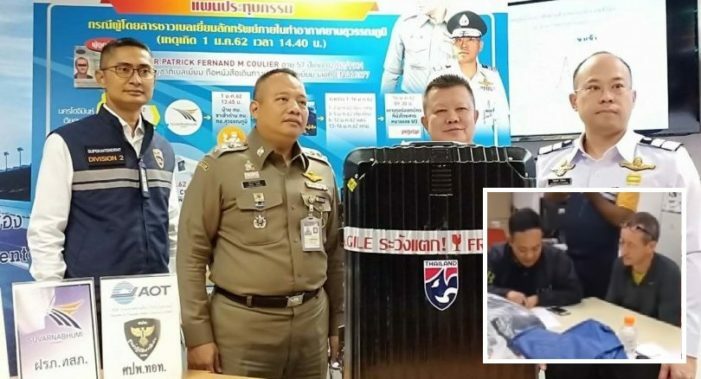 Meanwhile, Immigration police plan to blacklist and deport a Swiss man who overstayed his visa and is also accused of series of thefts in Nongkhai and Phuket provinces. Nongkhai deputy immigration police chief Colonel Prasit Somjaiprasong on Friday said that Julien Andre Junior Cotting, a Swiss national, 25, was arrested on Thursday at a guest house near the Mekong River in Nongkhai on theft charge. He was arrested after Sai-arun Konwan, 42, the owner of the Chorfah Gallery Hotel in Muang district filed complaint with police that a foreigner had stolen her bag that she left in the hotel’s lobby on January 8. Cotting faces charges of theft and overstaying his visa and will be prosecuted and deported, immigration authorities said. Butterfly reduced to stealing luggage from Chinese tourists. Gofundme.